Sai Babas age as per moon calendar not 96 ?? 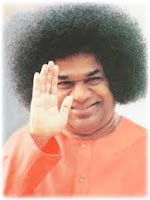 Home » Sai Babas age » Sai Babas age as per moon calendar not 96 ?? There has been a lot of controvorsies and talks goin on about Sai Baba died at the age of 96 as per the lunar calendar. To verify this we have to see what a lunar calender is. such revolutions make it around 354 days. So difference being 12 days in an year from our normal calendar. 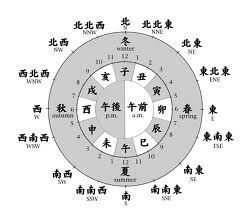 Even though there are different starting criterion for months in Hindu, Chinese and Arabic moon calendars,their duration being the time period of moon should remain the same. So number of days he lived accounts to around 30,834 earth days. i.e 30,834 / 354 = 87 years and 1 day as per lunar calendar ! And as per our conventional calendar it is about 84 years and 153 days. 7 Response to Sai Babas age as per moon calendar not 96 ?? The only conclusion of this calculation you made is that Sai Baba will come back in his old form. When Shirdi Baba left, he told everyone about it, Sai Baba's death was sudden and uncharacteristic for Him. He will be back! I am sorry for your loss. However, i must say one thing. It is strange how the goalpost keeps shifting. First, devotees said that he would not die when he was in hospital because he will live till 2020. Now they say that he satisfied the prophecy if you use the lunar calendar. This failed even before the lunar ca;lendar was mentioned because he celebrated his 84th birthday last year, why didn't he correct that if he was following the telegu lunar calendar. The other prophetic failure is that he was supposed to maintain his youthful look. EVeryone could see how frail he looked. Now that you have seen that even by using the lunar calendar, he failed the prophecy, you say that he will come back. in essence you say that he wll rise from the dead in his original body. I know its hard to accept it based on how long you kept the faith. it is difficult to admit that your faith in him was wasted. However, i ask you to test the alternate. HIS name is JESUS. Don't just believe but check out how he fulfilled very prophecy. Now Booby that might make me scartch the church and their actions from early 15 century when even sceiece was banned ! I am not a believer and dont try to paopagate your religion here , Its so cheap. Like throwing bread crumbs to a hungry crow and making it feel that bread is the only food !! Its the hunger that needs cure,as its in your case. Your hunger for more people in your religion is causing you do this. Is that really requored if some one like jesus or Sai baba can attract everything to them, then you are defying your own beliefs !! lol jesus? he's not coming back either bobby........... i know it's hard to accept.